Happy Friday! 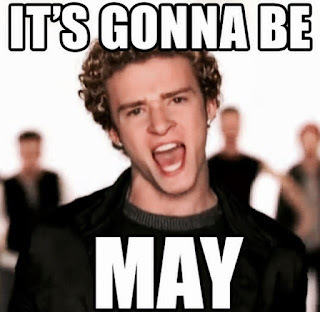 April flew by, didn't it? Next week it's gonna be May! 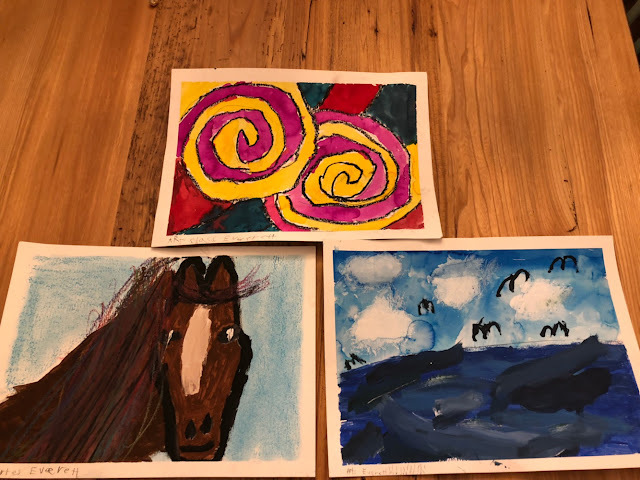 E is in the spring art program at school again and has brought home three lovely paintings so far. The theme for this session is Toronto. The top one is graffiti, the horse is from the Toronto Zoo, and the water is Lake Ontario. We were grating cheese to add to the chicken stew we were eating on Wednesday and Q grabbed the whole block of cheese just like George Costanza and ate right off the top. I cut off the part that had been in his mouth and he was still pretty happy about that. Last night E and I went to his school for a performance of the hoop troop and hoppers. The younger kids do a routine with hula hoops and the older kids do a skipping show. It was incredible, the amount of work and talent by these kids is great!! You can't help but smile and every one of those performers was having a great time. E will try out for the hoop troop next year. My office is recognizing the National Day of Mourning today (the actual day is Sunday). It is a day that honours those who have died or been injured on the job. Obviously mining is a hazardous workplace and we really focus on the safety of our workers, and the day was partly started because of miners, so it is of particular importance to us. Something I didn't really think of before when working in a fairly innocuous working environment of a law firm. 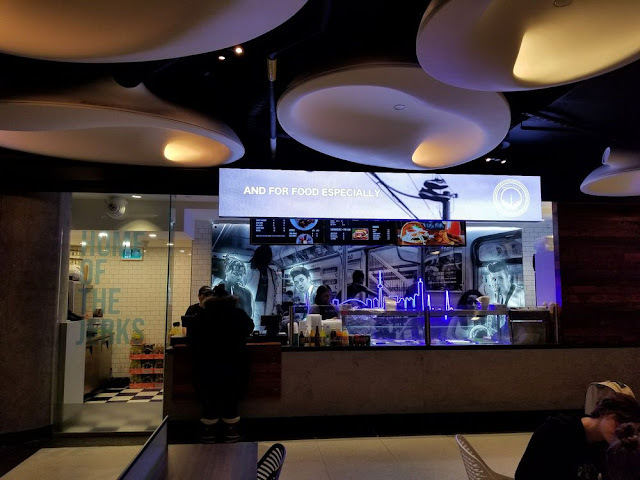 I had lunch at the food court in Union Station this week. I had the jerk chicken from Roywoods which was very tasty (but I still hold true to Annie's on Jane!) but it was also a cool atmosphere. All of the places, including the Pizza Pizza have hip looking counters, there is a DJ, and a mixture of patrons (travellers, workers, tourists, students, etc.). Next time I want to try Union Chicken or Wvrst. 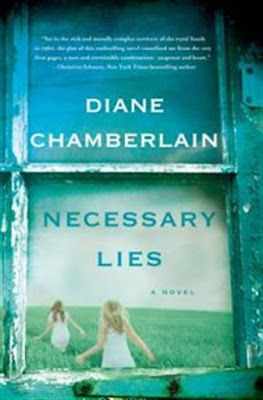 Check out my April Book Review here. 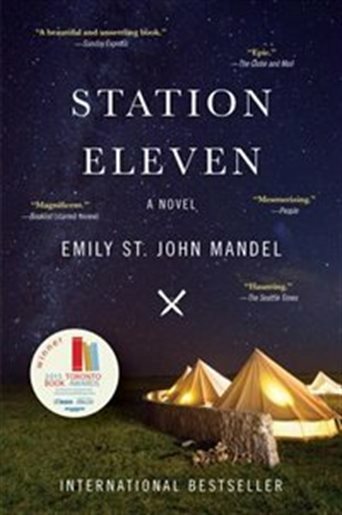 I finished Station Eleven like I said I would, and spoiler alert, no zombies. Also check out our Easter weekend here. I knocked four books off of my reading list this month. I have two left and I currently have holds on both of them at the library. This was a cute little book about how to incorporate the Danish concept of Hygge (or coziness if you want to try and translate it to English) into your life. 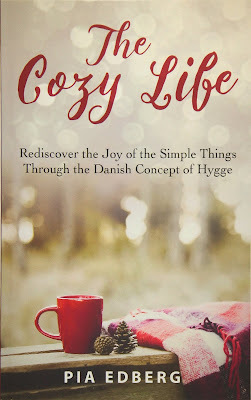 It was a short read but repetitive and although the author does a good job of applying Hygge to all aspects of your life, basically the message is to enjoy spending time inside during the winter by lighting candles, cuddling up in a blanket, inviting people over to spend simple quality time, and eat pastries. Nothing I want to argue with there, but not really groundbreaking stuff. It is a good reminder that simple is better and to spend less time on your electronics and more time with personal interaction. This book takes place in the South in the 1960s and jumps back and forth between narrators - a young social worker and a teenager who is one of the social worker's clients. The girl lives and works on a tobacco farm with her grandmother, sister, and nephew. The social worker is new to the position is trying to get to know this family and the others at the tobacco farm. There is one aspect to this book that is so fascinating because it is based on true events, and it's just heartbreaking and really shows the attitudes that people had to poor white and black folks during that time. This one had me turning pages and just like An American Marriage that I read last month, there were a few times when I almost missed my subway stop. 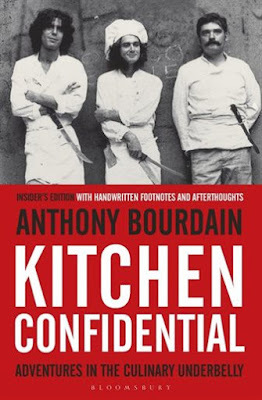 As a fan of Mr. Bourdain, I absolutely loved this book. I could hear his voice reading it to me in my head and I was enthralled with his life as a chef working in a variety of different kitchens. My favourite chapter was a Day in the Life and it just made me exhausted. I worked in a restaurant as a server for a few years in university and I could definitely relate to some of his stories, although I don't think our kitchen was ever as bad as the ones he described. If you are a fan of his, read this book. I'm sort of cheating with this one because as I write this post I am only about halfway through this book, but I should be finished by the end of April so I think it counts to include it here. Plus I already know I love it and would recommend it. As usual I don't like to give anything away about the plot but I will say that it starts out set in Toronto, which of course I always enjoy, and then it bounces back and forth between interconnected characters' stories from the past and the "present" following a flu pandemic that has wiped out a majority of the world's population, think Walking Dead but without the zombies (at least no zombies in the first half of the book, not sure if they show up later). The characters are well written and the plot is very engaging. Pick this up for something different! And it's Canadian! I looked back at my April What's Up Wednesdays from years' past and saw some cute photos of my little guys. I am always happy when spring arrives and the weather is warmer and the evenings are lighter. It's taken a little while to actually warm up but I think spring is actually here. I have been seeing the flowering trees in France and England through some Instagram accounts I follow, and ours should be showing up very soon. Getting outside even if it's not warm. Q loves to go outside and is keen to get his boots/shoes and jacket on. If it's raining, he knows he just needs his hood up. 6:00 weekday practices for E's t-ball and and games and practice for soccer. It will be a hustle to get home and get supper (and then make it to my workout classes for 8:00). Slowly but surely I will get through all of my clothing drawers, E's clothes, and the kitchen to weed out things that can be throw out or donated. E's clothes can be saved for Q of course, my clothes can be donated, and the kitchen stuff will be going to our church's yard sale in May. There is a new workout schedule and reset eating plan starting next week from my workout group and I'm excited to see new recipes and try new classes. It is a lot of prep work to strictly eat the reset menu but I do feel so much better when I do, that it is worth it. We are watching all of the sports (hockey and basketball playoffs, and baseball). 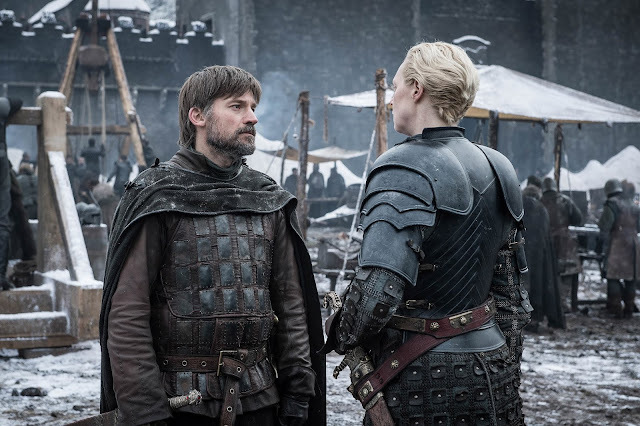 We are also watching Game of Thrones, Veep, and Island of Bryan. I also started The Disappearance of Madeleine McCann on Netflix. Stay tuned for my April book review on tomorrow's post. Mary Poppins soundtrack is on repeat around here still. It's catchy! No jacket! Well at least yesterday it was warm enough to go without. Which is too bad since I just got a new trench coat from Banana Republic. I got tired of looking around the stores for one, so I just went on the BR website and ordered one, and it was 40% off that day. E has a pre-season t-ball game on Saturday so we will be High Park for a little bit, but no other set plans other than that and church. More t-ball games, soccer for E starting up, Mother's Day, our 10th anniversary, a visit from my dad, and a Blue Jays game. Not much else! Happy Spring! Linking up with Shay and Sheaffer. We had a busy Easter weekend at Dave's parents' house. We were not able to get away too early on Thursday, but we packed up and got as far as Cambridge to eat supper at Boston Pizza before continuing on. BP, always a reliable choice. Up early on Friday morning and greeted by more rain We had pancakes and sausages to start our morning. Then Q helped Grandma make icing for the Easter cake. And then both boys helped to decorate it. We watched a movie and played some games and read. After Q's nap, we ventured outside for a walk. It was cold!!! Dave's cousin and her husband arrived before supper, and we all tucked into homemade baked beans and fish cakes. Then we watched the Leafs and Raptors games. Contemplating the Easter cake for breakfast on Saturday morning. But we had this instead - smoked salmon and bagels, and fruit salad. Then ready for his next meal! After lunch we went downtown to The Refined Fool brewery while Q was napping (and stayed home with Grandma). E and I were in the back of the bus. First up Clue, and then a simple trivia/betting game. A cozy way to spend a rainy afternoon. We had our turkey dinner that night and had my cherry pie for dessert. Another early morning on Sunday to see what the Easter Bunny had brought us! I made them sit at the bottom of the stairs while Dave threw on some clothes. And some for the adults. Then, trying to shove as many jelly beans as possible in his mouth. He ended up having to spit some out. We went to a local United Church service and it was very nice. They serve coffee at the beginning that you get to take into the sanctuary with you. The boys went up to the listen to the children's story and then followed the kids out for Sunday School, so the service was quite relaxing for us after all. They had a great time and we heard the good news that He is risen!! Playing a little bit in the church gym before leaving. This is how you get Dave to come to church - offer a chance to shoot hoops! Our best attempt at a family photo when we got home. When we got home, there was a Chase piñata hanging up in the backyard. Treats for everyone, including a scavenger hunt to find beers and activity books in the yard. Then Q had a nap, and the rest of rested too. I took Q over to the closest playground but it was pretty flooded out from the previous days of rain. We ended up at a different one and Q enjoyed the slide a few times. Another Leafs game when we got back, and a few more board games, and then the Raptors game. Playoffs are a busy time! We got packed up on Monday morning. We decided to do a hike on our way home, and we chose the town of Strathroy, which is close to London, and not too far out of the way for Dave's parents to join us. We found a little conservation park, and then a playground, and spent an hour or so in the bright sun and fresh air. Then we grabbed some lunch at A and W before driving home. A great weekend spent with family!